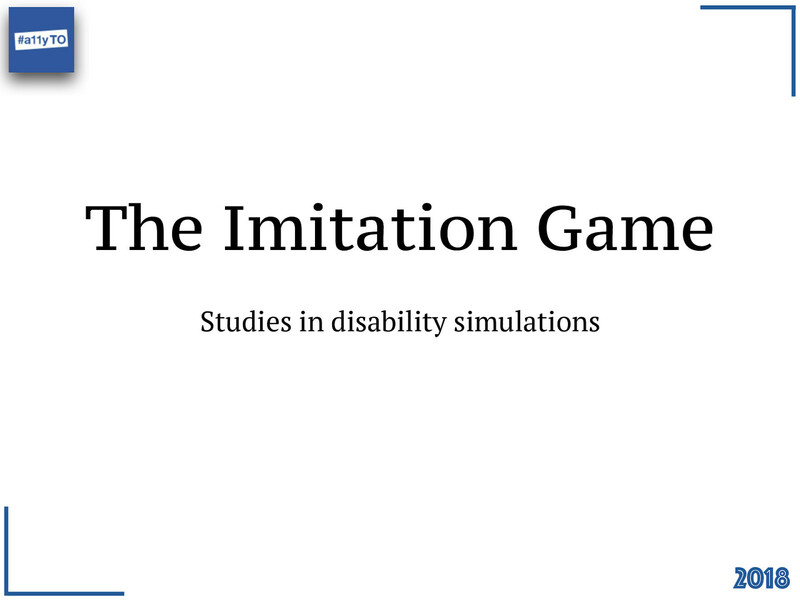 View The Imitation Game - studies in disability simulations on Notist. Disability simulations are controversial. Some consider them a useful teaching tool, while others, especially those in the disability community, consider them flawed approaches, prone to stigmatisation. What evidence have psychological studies shown regarding the effects of disability simulations, and can disability simulations bring added value towards the design and development process? A research-backed look at simulation effectiveness. List of papers, studies and books. This Goffman groupie loved @detonite’s #a11yTOconf talk about disability simulations and studies. Took me back to my thesis on stigma, but Job’s talk was waaaay more fun 😜. And damn interesting.